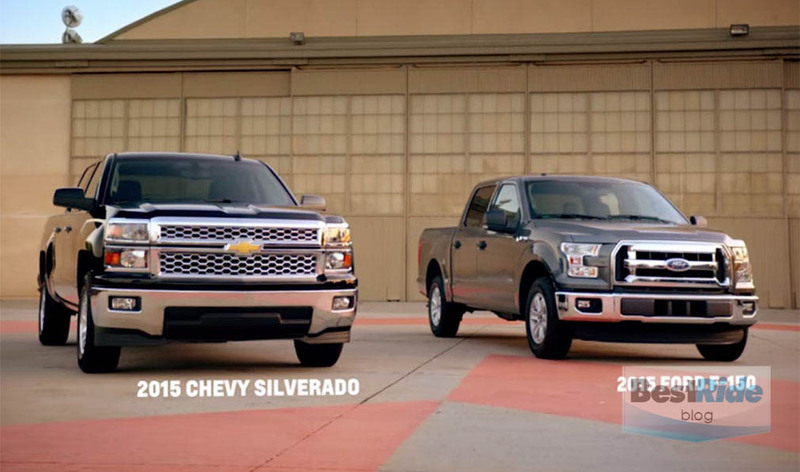 2016 Ford Super Duty Debut or Debacle? Spy photographers who sought out the all-new 2016 Ford Super Duty pickup got more than they bargained for last week when the truck showed up in heavy disguise, then burst into flames. Ford engineers hurriedly brought the hot mess to a halt and then bolted from the flames, unharmed. Nevertheless, before the incident was over, the truck had burned completely to the ground, exploding several times in the process, and leaving blobs of aluminum behind. 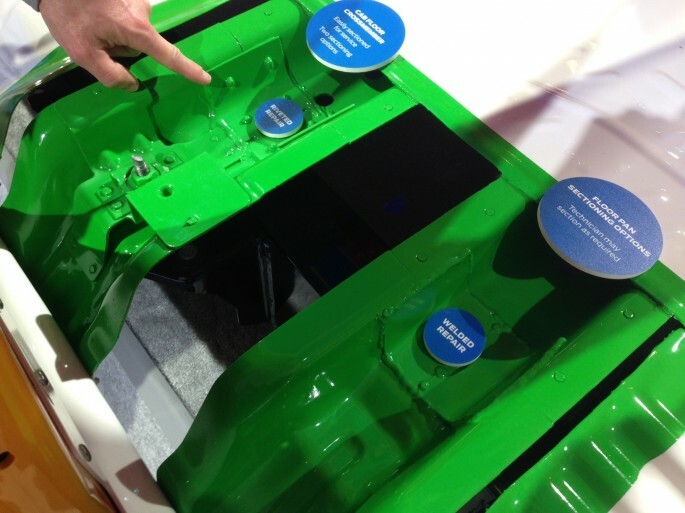 The 2016 Ford Super Duty truck will be outfitted with ultra-modern aluminum body panels. Although the Super Duty truck is not expected to utilize as much aluminum in body construction as the lighter duty 2015 Ford F-150, the explosions witnessed last week don’t typically occur in steel bodied trucks. The higher magnesium content of aluminum makes it more explosive than steel. Ford is currently using more magnesium in the manufacturing of their cars and trucks than any other automaker. In addition to the aluminum suspension components and body panels, the steering system parts and various radiator parts are made using magnesium. Witnesses to the Super Duty fire report that the only recognizable components of the blaze were the massive 6.7-liter diesel engine and the truck’s steel frame. 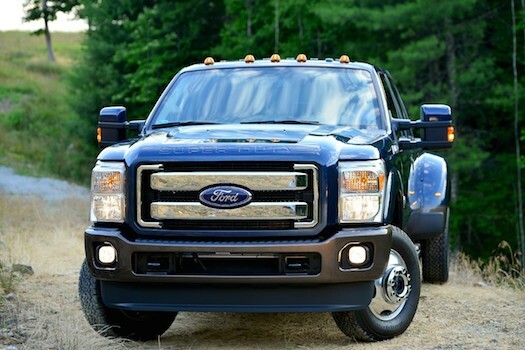 This information indicates that despite a total redesign of the 2016 Super Duty, the engine options will remain unchanged from the 2015 version that includes F-250, F-350, and F-450 classifications. At the top of the heap is the monstrous second-generation 6.7-liter diesel. The big diesel was totally upgraded for 2015 and it belongs in a road tractor or possibly a dozer, with a best in class 440-horsepoer and 860 lb.-ft. of torque. Not only does this diesel feature class leading performance it also has the best fuel economy in the segment. Ford engineers began with a state-of-the-art engine and turbocharger cooling system that boosts efficiency enormously while contributing to quiet and clean operation. Next, they switched to a more efficient direct fuel injection system and fuel pump for more power and reduced emissions and topped everything off with a larger turbocharger for greater on-demand performance. The 6.7L is also capable of burning bio-diesel fuel, making it B20 capable. 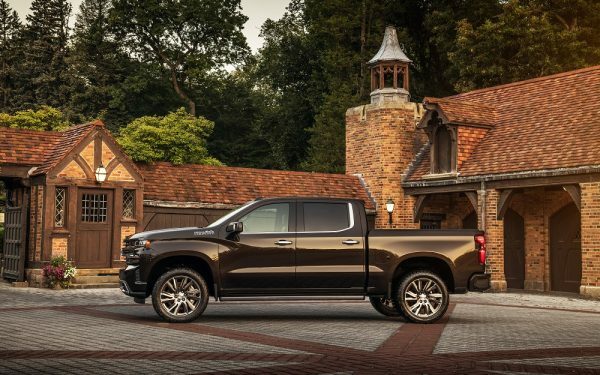 The gasoline powered variant of the 2015 Super-Duty offers a 6.2-liter V8 with 385-horsepower and 405 lb.-ft. of torque for trucks weighing under 10,000-pounds and a slightly detuned version for trucks weighing over 10,000-pounds (which makes no sense to me — but I highly recommend the diesel in this truck). Seriously, the 6.7-liter diesel engine blocks the 6.2-liter from the sun and it seems to get smaller and smaller. One of the highlights of the F-Series for me (and if you read this blog, then you know that I am a Chevy man through and through) is the King Ranch Package. Whether you like a western theme or enjoy a more elegant automobile interior, you owe it to yourself to spend a few days inside of a King Ranch. Beautiful Mesa Brown leather upholstery with “Running W” cattle brands adorning the headrests and center console give the King Ranch the feel of the Old West and beautifully sculpted wood grain accents inlaid tastefully on the dash balance the interior with classic style. The high GVWR vehicles receiving a detuned version of the engine is because of emissions regulations. The F250-F350 need to pass emissions standards at 20% throttle down the highway like the small passenger vehicles it shares the road with. Big trucks made for towing constantly like the F450-F750 need to pass those same standards at 80% throttle, accelerating from low speeds, where they spend most of their life. The only way to do this without overcomplicating the already elaborate emissions and exhaust aftertreatment systems is to simply derate the engine.